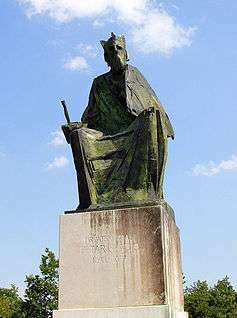 Petar Snačić (Svačić) was a feudal lord, notable for being one of the claimants of the Croatian throne during the wars of succession (c. 1093–1097). 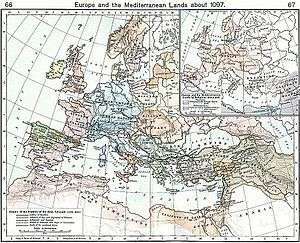 It is assumed that he began as a ban serving under king Demetrius Zvonimir of Croatia and was then elected king by the Croatian feudal lords in 1093. Petar's seat of power was based in Knin. His rule was marked by a struggle for control of the country with Coloman of Hungary. During his reign he was able to expel Álmos of Hungary from Slavonia, and unite Croatia to the river Drava. According to Juraj Utješinović, alias Frater Georgius, first Croatian cardinal, Petar was born in Kamičak (above river Krka canyon), Croatia. He died in 1097 and was the last native king of Croatia (reigned 1093–1097). Croatian Kingdom during Petar Snačić reign. He assumed the throne amid deep tension throughout the Kingdom. His predecessor, Stjepan II (1089–1091) died without leaving an heir, sparking a major political crisis. Jelena or Ilona, the widow of King Dmitar Zvonimir (1074–1089) supported her brother, King Ladislaus I of Hungary, in the inheritance of the throne of Croatia. Meanwhile, as a part of Croatia's dignitaries and clergy did not support Ladislaus' claim, they elected nobleman Petar as King, who immediately deployed the military to defend Croatia's borders from Hungarian attack. However it was too late. Ladislaus, who had probably devised a military strategy two years earlier, launched an offensive and managed to breach Croatian lines along the Drava River. The well-prepared Hungarians soon occupied the entire province of Slavonia but were halted by the Croats at Mount Gvozd (nears today's Karlovac). 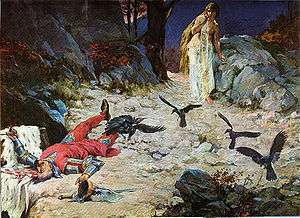 Shortly after his army's success, Ladislaus died (1095), leaving his nephew Coloman to continue the campaign. King Petar's troops maintained their resistance repelling Hungarian assaults for nearly two years. Coloman grew frustrated at his army's impotence and in 1097 assembled an enormous force at the eastern foot of Mount Gvozd. The subsequent offensive was brutal and absolute, resulting in Petar's death. His heroism was commemorated in the renaming of Mount Gvozd to Petrova Gora (Peter's Mountain). Five years of negotiations between Croatia's remaining noblemen and Coloman followed thereafter. Finally, in 1102, an historic settlement was reached (Pacta Conventa) by which the Croats agreed to recognise Coloman as king. In return, he promised to maintain Croatia as a separate kingdom, not to settle Croatia with Hungarians, to guarantee Croatia's self-governance under a ban (royal governor), and to respect all the rights, laws and privileges of the Croatian Kingdom. Although traditionally attributed the surname of Snačić (or Svačić erroneously) there is no real proof of his ancestry. He was the last native king of Croatia. After his death Croatia formed a personal union with Kingdom of Hungary that lasted until 1918.